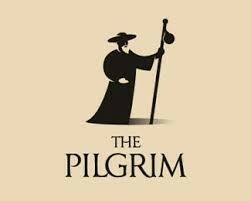 The Pilgrim Will you be approved by God or disapproved? House Churches – The Disciple making Minister. Truth or Tradition series – Vol 1 – Caution: ‘Once Saved Always Saved’ is a dangerous myth. Home › Archive for The Atonement. Quotes on Moral Government Theology. Posted in Quotes, The Atonement. Posted in The Atonement., William and Catherine Booth. Limited Atonement is a ‘Doctrine of Demons’. Posted in Articles by Jamie RA Gerrard., Reformed Theology, The Atonement. The subordination of Jesus to the Father. A short biblical explanation on how obedience is conditional to salvation. Articles by Jamie RA Gerrard. Welcome to the Pilgrims Diary.